Instagram, a photo sharing app for your mobile device, has over 500 million downloads on Android alone. As one of the leading social media sites Instagram is all the buzz to show your family, friends and even customers what is happening in your world. If you enjoy photography and applying filters to your photos chances are you are already on Instagram. Perhaps you are looking for more. A way to share those photos offline or use the images as art. Look no further, DRS has a solution that will put an whole new spin on your Instagram feed. There are many websites that offer prints and mini prints of your Instagram photos. DRS is offering something different. 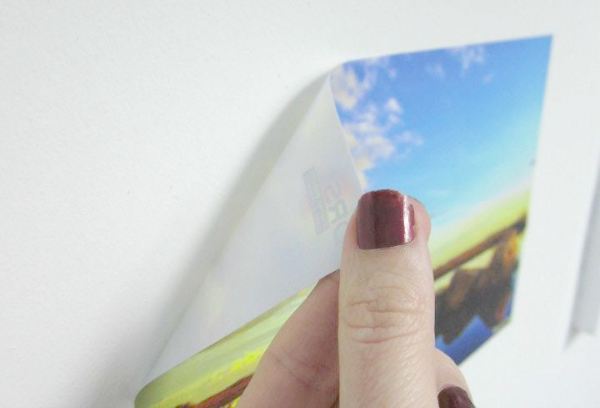 How about turning your photo or photos into removable wall art. Yep, you read that correctly, removable wall art. Imagine transforming your boring wall space with one, two, four or nine, 12 by 12 inch images printed in full color on removable (fabric or vinyl) for your wall. You can organize your photos in any fashion you want to – vertical, horizontal, square, or random. Since they are removable you can swap out your photos during the year or season, or even add a fun quote. If you are not a fan of removable wall art what if you created an Instagram collage and printed the collage onto clear acrylic or metal and hung it on the wall. The point is the potential is endless of how you can display your Instagram images in more than a small print or a canvas print.